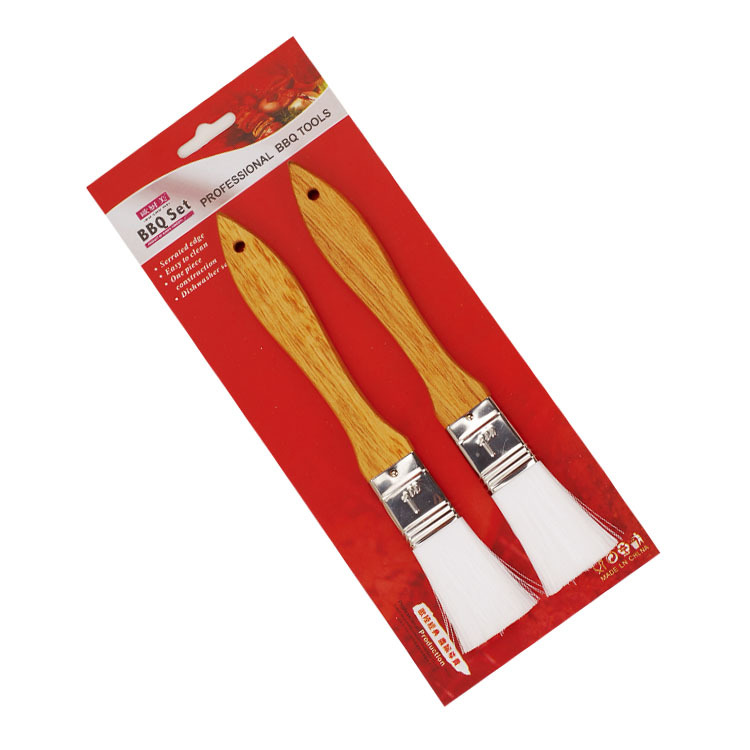 This commercial set of 2 high-quality pastry brushes is specifically designed for basting foods and for oiling or buttering bakeware, waffle irons and griddles, basting meats or spreading egg wash onto large pastry crusts. Ideal for marinading any type of meats. You can also use them for cleaning coffee grinders and spice mills. It's a simple toolset that can pay off big dividends. Just quickly brush your pastries with butter glaze before baking to get that golden-brown flaky crust that customers crave.The PP hair provide superior pliability and a more even spread and a lacquered wooden handle for a perfect grip. Looking for ideal Commercial Set of 2 Brush Manufacturer & supplier ? We have a wide selection at great prices to help you get creative. All the Pastry 2 Pieces Brushes are quality guaranteed. We are China Origin Factory of Pastry Basting Oil Brush. If you have any question, please feel free to contact us.